Healthy bones, healthy smiles. 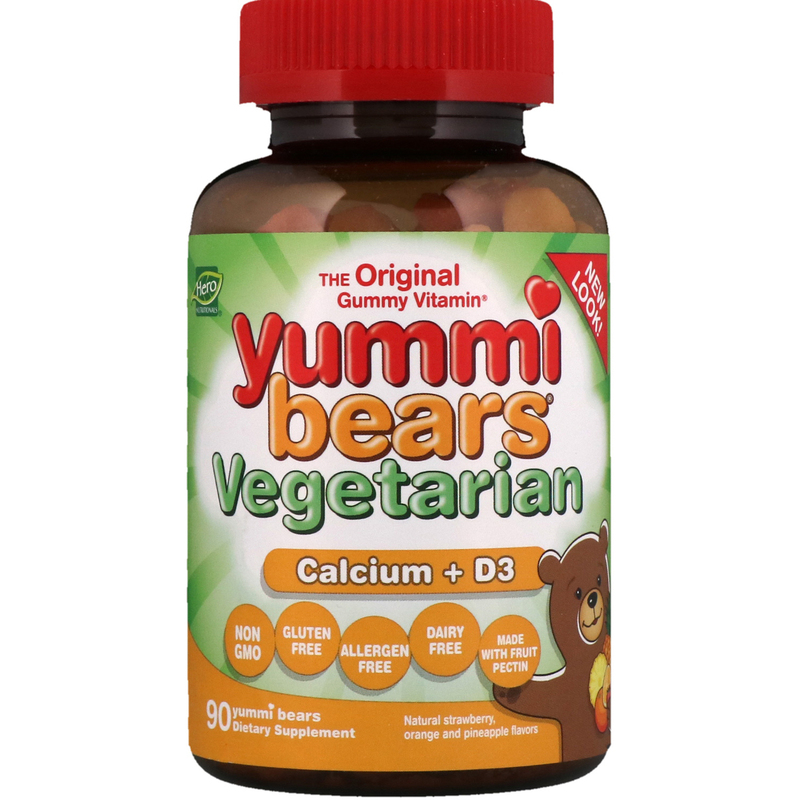 Yummi Bears Vegetarian Calcium + D3 helps support strong bones and teeth. Made with a fruit pectin base, this vegetarian approved gummy is delightfully yummi with a fun, fruity punch. 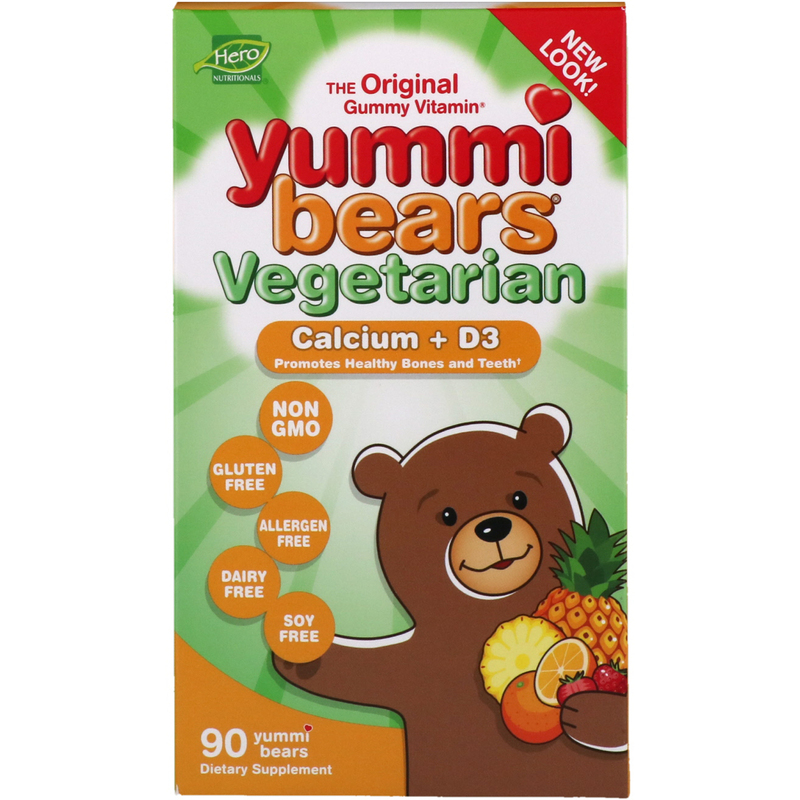 For over 20 years we've been making Yummi Bears - The Original Gummy Vitamin formulated just for kids. 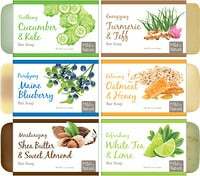 And because you care about what goes into your kids, we care about what does into our gummies: natural fruit flavors, colors and sweeteners - plus they're non-GMO, allergen and gluten free. Organic tapioca syrup, natural cane sugar, pectin, citric acid, sodium citrate, natural flavors (orange, pineapple, strawberry), organic colors (carrot, pumpkin, apple, blackcurrant concentrates) fumaric acid. 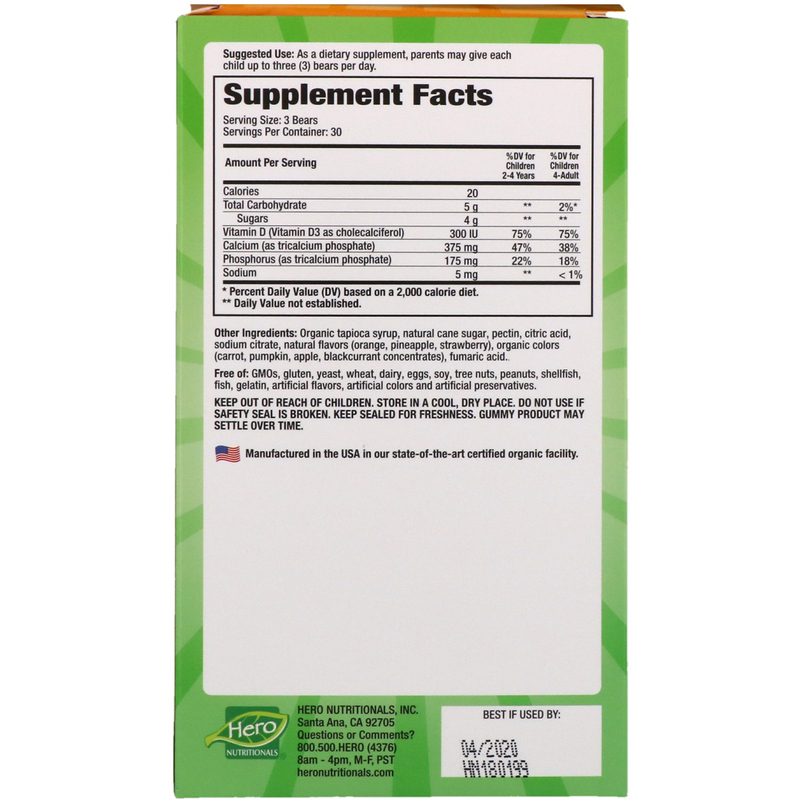 Free of: GMOs, gluten, yeast, wheat, dairy, eggs, soy, tree nuts, peanuts, shellfish, fish, gelatin, artificial flavors, artificial colors and artificial preservatives.